You may have noticed an increase in the number of arrests and convictions for internet offenses, both in Florida and across the US. What you may not realize is that the term “internet crimes” encompasses a wider range of activities than you would expect. The list of the specific Computer-Related Crimes in Florida is quite extensive and very detailed, which is why it may be helpful to group the offenses by category. Plus, there may be federal implications for certain types of internet crimes, which means the potential punishment and fines for a conviction are increased. If you were arrested, it is critical to work with an internet crimes attorney who can defend you against charges falling within the five main classifications. 1. Hacking: You could be charged with this crime for breaking into the computer or network of someone else without their permission. Generally, hackers have some goal to achieve once they enter, which is often another form of internet crime. However, the hacking itself is a crime regardless of whether there is other criminal activity. 2. Cyberbullying: Threatening, harassing, or stalking a person through use of a computer are all forms of cyberbullying. There are multiple methods a person can use to commit the offense, but the most common channels are through email, social media, texting, or other communications through electronic devices. 3. Fraud: The generic definition of fraud is making false, deceptive, or misleading statements for financial gain. 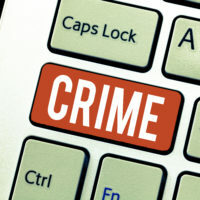 There are many types of conduct that form the internet version of the crime, but the primary element is use of a computer or telecommunications network to accomplish fraud. The most famous example may be the Nigerian prince email or fax that still goes around today, promising the recipient millions of dollars in exchange for bank account information. 4. Identity Theft: This internet crime is another offense that is usually tied to other criminal activity, as the perpetrator is typically attempting to achieve some other objective by stealing a person’s identity. In many cases, the identity theft is used for financial gain, which makes it closely associated with fraud. However, you could also be arrested for identity theft if you use someone else’s personal information to get a credit card, government ID, passport, public benefits, or related purposes. 5. Theft of Trade Secrets: Trade secrets theft is particularly concerning because the victim-entity will be actively involved in the criminal investigation and prosecution of the offense. The most common scenario is where you work for an employer, misappropriated trade secrets through use of a computer, and applied the information to your own purposes. Whether you sold the trade secrets or utilized them for another employment-related opportunity, you could face serious charges. For more information on internet crimes and punishment for a conviction, please contact attorney Kevin J. Kulik to schedule a consultation. We can tell you more about potential defense strategies, including options to defend federal internet charges, after reviewing the details of your case.